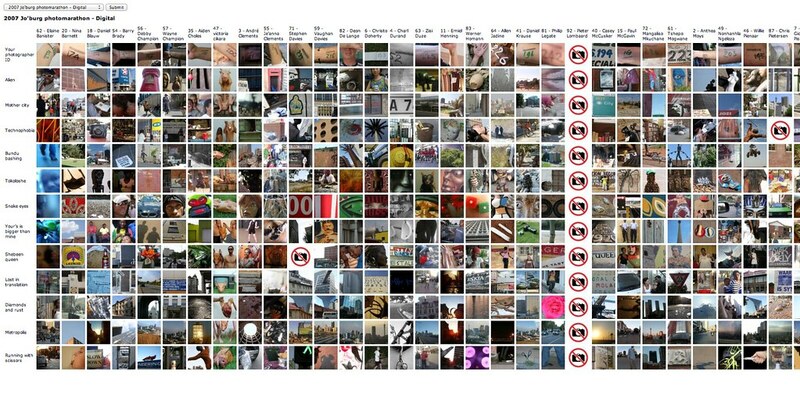 In September 2014, photomarathon.eu became online photomarathon submission management. 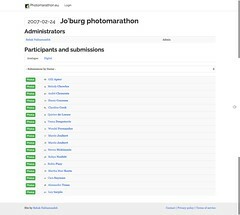 The original website was rebuilt to allow for managing the submissions of the upcoming Johannesburg photomarathon. In October 2005, I participated in the Rotterdam photomarathon. I was so extremely charmed by the concept I offered my services to get all the participants’ pictures online. I was hoping to help organize the contest in 2006, but my moving to Johannesburg put a stop to that. For several years, photomarathon.eu was used to list the world’s photomarathons. After moving to South Africa, in 2007, I found sponsors at The Bag Factory specifically to organize Africa’s first photomarathon, the PhotographySA.com photomarathon 2007 :: Johannesburg, which was held on February 24th. The photomarathon ran for 12 hours, starting at 8am. Later in the same year, through additional sponsorhip deals, I managed to organize the Pretoria photomarathon on September 8th. A spectacular addition to this event was the video category: participants got to shoot video shorts, one minute max, of the 12 themes, a world first. It took until 2014 for the third South African photomarathon to take place, again in Johannesburg. 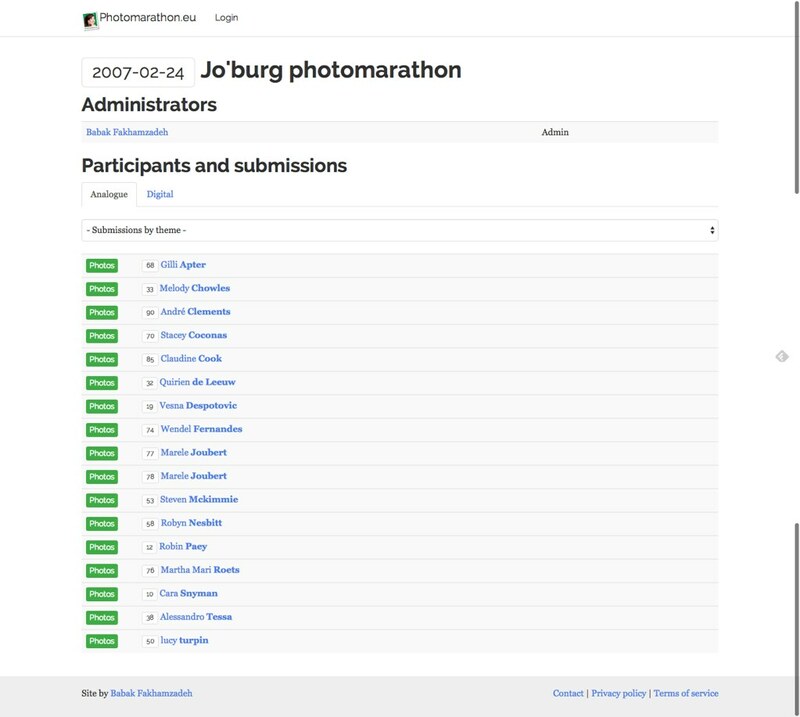 Photomarathon.eu was used as the platform for submissions management.